Tiferet Israel was crowned first-place champion. Pictured from left, are Ed Jerome, Anant Chandler, Idalee Cathcart, Warren Zahler, Alana Zahler and Zoe Zahler. 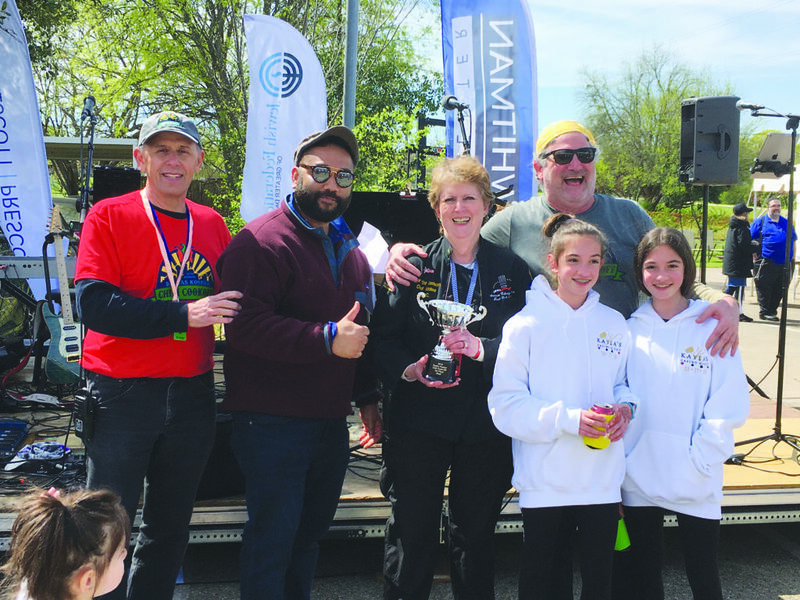 A cool breeze and sunny skies served as the backdrop for Tiferet Israel’s 26th Annual Kosher Chili Cook-off March 31. With three bands, Side Gig, Windy City and The Mazik Experience providing the tunes, 35 teams cooked up batches of red to compete for the coveted chili first-place trophy. The Dallas Kosher Chili Cook-Off is one of the most unifying and anticipated events on the North Texas Jewish calendar. Title sponsors for this year’s event were the Jewish Federation of Greater Dallas, Marsh & McLennan Agency and Key-Whitman Eye Center.